The Maimonides Heritage Center, or Mercaz Moreshet HaRambam was founded in the fall of 2003 by Rabbi Yamin Levy and a group of business and professional leaders who shared a vision of hope and prosperity for the city of Tiberias. While there are numerous places in Israel that are in need of help - Tiberias has a unique resonance for Rabbi Levy and Maimonides Heritage Center (MHC) supporters. For the time being much of the philanthropic work associated with MHC is social welfare and crisis management for the needy families especially the children of Tiberias. The spirit that propels the effort, however, stems from a strong conviction that Maimonides’ legacy is not only relevant today but a compelling religious voice in modern man’s / woman’s search for a spiritual community and personal equanimity. 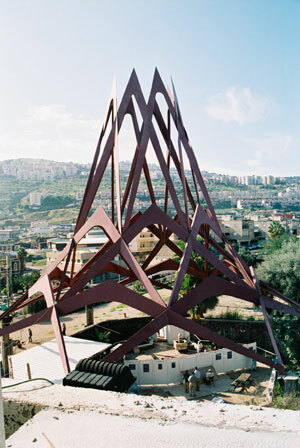 In the late summer of 2003, Rabbi Yamin Levy and a few personal friends visited the customary tourist sites in and around the city of Tiberias. When they visited the gravesite of Maimonides, HaRambam, the small group was horrified. The gravesite was neglected (see pictures in photo album) and in such a state of disrepair that it had literally become a place where people threw out their garbage. The neighborhood is indeed impoverished and partly industrial but this could not be an excuse for the spoiled diapers, old refrigerators and a grazing donkey! There was no biographical information about Maimonides, no explication of his literary, medical, philosophical, cultural and religious contributions. David Justin a close friend and active leader at MHC was there with Rabbi Levy in 2003 when they first surveyed the burial site. Referring to the building alongside the grave (which today is the Setton Family Hospitality Center (see Photos) David Justin said: “it was more unbefitting than you could possibly imagine. There was drug paraphernalia, feces and pornographic graffiti covering the walls, all this twenty-five feet from the Kever” (see Photos in album). The area was disgusting by all measures the fact that this was along the grave of the great teacher and sage Maimonides made the scene that much more repulsive. It was during that visit to the burial site of HaRambam that the dream of the Maimonides Heritage Center was born. The vision of turning this place into a center for study, education, tourism and inspiration was beginning to find expression. The dream was and continues to be the transform of the surrounding area of Maimonides’ grave and the entire city of Tiberias into a place befitting the legacy of the “Great Eagle” HaRambam. Upon his return to the United States Rabbi Yamin Levy put into motion the steps necessary to purchase the dilapidated building alongside the grave. Within 4 months the building was purchased, renovations underway, the area cleaned up, architectural plans designed and thus began the Maimonides Heritage Center. “Our goals are simple” says David Justin “rededicate the gravesite of Maimonides as a place to visit, learn and be inspired. This will help rehabilitate the entire city and take it back from the drug addicts, which in turn will help revitalize the economy of Tiberias”. “Few things are as rewarding as the feeling that comes from working for a higher purpose” says David Justin. 1. Setton Family Hospitality Center Museum open to the public with multi-media and educational displays presenting the life and legacy of Maimonides. 2. Daily Lunch program at the Takhkemoni School in Tiberias serving hundreds of school children their only hot meal of the day. 3. Over 80 Food Baskets delivered on a weekly basis to needy families through out the city of Tiberias. 4. Sherut Le’Umi Midrasha with 40 young women working throughout the city of Tiberias and studying at the MHC. 5. Avot U’Banim Program where fathers and sons come to our center on a weekly basis for Torah Study, refreshments and prizes. 6. Imahot U’Banot Program where Mother and Daughter come to the center on a weekly basis for Torah Study and prizes. 7. Mo’Adonim, 5 after school clubs through out the city of Tiberias serving over 600 children weekly. 8. Renovation of park and basketball courts in the city of Tiberias. 9. Disseminating and make available the teachings and texts of Maimonides to the lay student through our website and lecture series. We invite you to be a part of this project. We are committed to the principles of inclusion, tolerance, Chesed and Tikun Olam.